Since President Trump has announced The United States recognizes Jerusalem as the legitimate Capital of the State of Israel and we will build our embassy there, Turkish President Recep Erdogan says he will do the same. 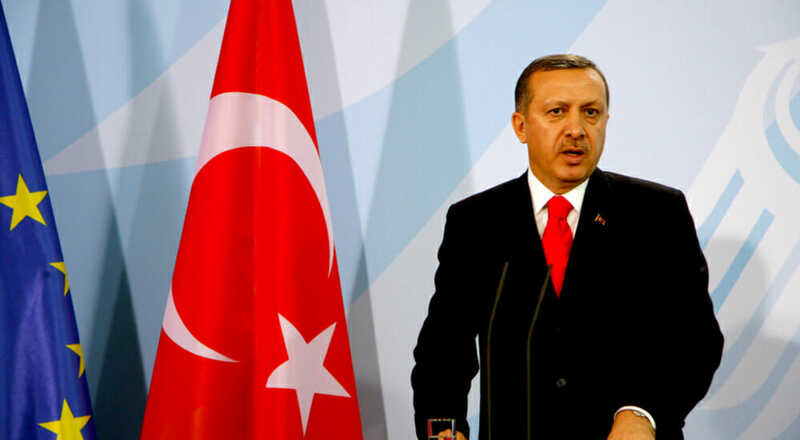 With his announcement you can be sure Erdogan, who is a Sunni Muslim, has devious designs to destroy Israel, or short of this on the short term, seek death and destruction on the innocent Israeli people as much as possible. One way he would accomplice this, as he had done, is with his call to the countries of the world to recognize Jerusalem as the capital of a Palestinian state. Another way is, once a Turkish embassy is established in Jerusalem, he could have Turkish representatives bring weapons, and explosive devices, by diplomatic means, within the Sovereign geographical territory of Israel. The rest of the worldwide Muslim terrorist network, Organization of Islamic Cooperation, which includes Turkey, quickly held an emergency meeting to attempt to counter the declaration of President Trump. Muslims can’t stand losing any ground they have gained on their universal global conquest. Early American diplomats John Adams, and Benjamin Franklin, petitioned the Libyan diplomat to inquire why, Musselmen (Muslims) Barbary pirates, sanctioned by their home Muslim countries, without provocation, attacked American vessels on the open seas. A hefty sum in the form of a tribute to the leader of their home country could be ransomed in lieu of their attacks. “We took the liberty to make some inquiries concerning the Grounds of their pretensions to make war upon Nations who had done them no Injury, and observed that we considered all mankind as our friends who had done us no wrong, nor had given us any provocation. Palestinians, as they are called, have never had a country of their own except in Jordan where their numbers are 80% of the total population. God never ordained any other people to have a country on this land. God has re-established, however, His Chosen people to return to their homeland as ordained 3,000 years ago. Recognition of any other state on this Sacred ground is blasphemy.